Leizhan proffesional engineers are avaible to offer efficient maintenance and upkeeping solutions for paper plants to improve the operational performance and service life of paper manufacturing project. Leizhan supply high quality spare part and vulneralble parts to paper plants for fast delivery. Every devices have different quick-wear parts. Let’s take ZNS1.2 mid consistency pressure screen for example.There are some quick wear parts like cylinder screen, machanical sealing, triangular belt and bearing of mid consistency pressure screen. 1. 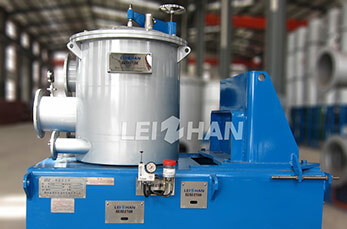 Main shaft bearings applied to grease lubrication, the front of the machine is equipped with oiler, oiling twice a week. 4. Check the seal water supplied for the mechanical seal frequently. 5. In order to avoid difficulties of restart, when the machine shut down in a short time, the pressure screen cylinder must be washed carefully, sieve should be filled with water.